I always love a good tip. This funny looking clothespin contraption from The Scrap Shoppe is actually a great way to line up the perfect place to hang your photos. You can check it out HERE. 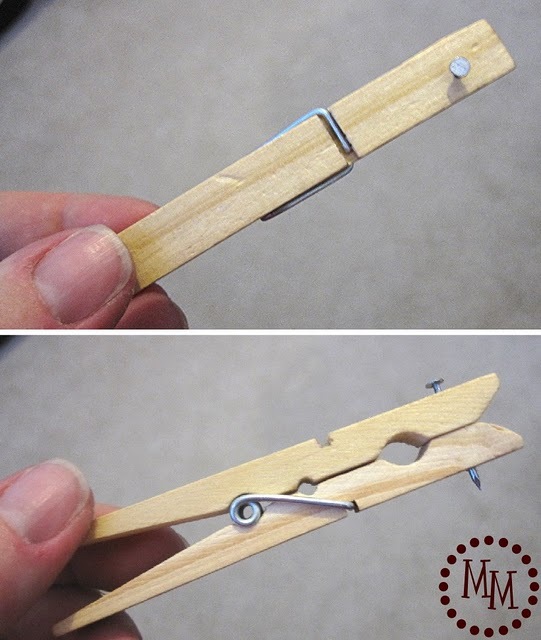 Don't have a clothes pin? 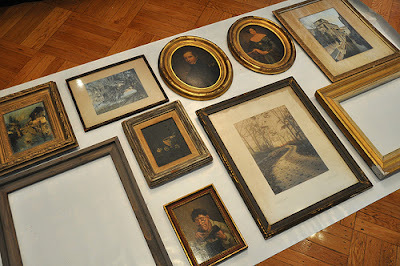 How about using tape to help hang pictures. If you are hanging more than one photo, butcher paper or wrapping paper can help you plan your layout and line the pictures up perfectly before you start driving nails into the wall. Do you have a tip that works for you? Love it. What a very neat idea! Thanks for sharing this and for the link love!